If your teeth are cavity free, is your oral health good? Maybe it is, but maybe it’s not. Although tooth decay is a common oral disease, it is not the only one. Many patients who visit our Moonee Ponds or Sunbury offices are surprised to learn that the presence of tooth decay is not the only indicator of oral health. In fact, it is possible to have gum disease, which can affect your overall well-being, with few, if any, symptoms. What is oral health? It could be defined as the health of your mouth. However, the mouth isn’t a separate structure, it is an inseparable part of your whole body. 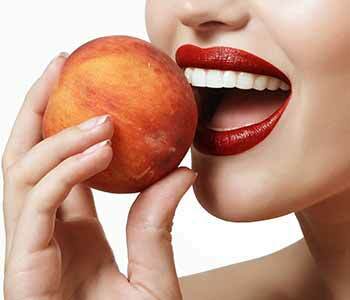 For many reasons, there is no clear distinction between oral health and whole-body health,. poorly fitted dentures can age your whole face. impaired mobility can make brushing and flossing difficult. Smile in Style is a holistic dental practice, which means that we take your health seriously. We also understand that health is more than the absence of illness. It is a state of optimal well-being, and your smile is an integral part of it. Customer service – Many people today complain of being rushed through medical offices, ignored, and treated like numbers. Here at Smile in Style, our approach is very different, because our practice revolves around people. You can expect to be treated like a cherished friend, not a number. Communication – This is considered the foundation of any relationship, and the dentist-patient relationship is no different. We take the time to listen, understand your concerns, and answer your questions. We also strive to educate you, help you understand what is affecting your oral health, and how it can be improved. Individualised treatment – There is no “one size fits all” solution for dental care. From the frequency of cleanings to restorative treatments and even at-home hygiene, our recommendations are based on many individual factors. Nutritional and healthy living guidance – You might expect your dentist to discuss the dangers of consuming excess sugar, but what about the importance of balanced nutrition, acupuncture meridians, and getting a good night sleep. Holistic dentistry is about whole-body health, and the best way to achieve that is by addressing all aspects of wellness. Integrative care – Just as your mouth is not a separate entity, neither is your heart, or your stomach, or any other part of your body. They are integrated, and medical care should be as well. We believe that you receive the best care when various medical providers work together, and they are all focused on the whole picture that is your health. So we also work closely with naturopaths, specialists and GP’s. Biocompatible materials – You take great care to avoid toxins in your food, so it’s only natural that you don’t want them in your dental restorations. What you may not know that sensitivities to materials can vary from one person to another. That is why we take care to choose biocompatible materials. Evidence based dentistry – Through the efforts of scientists and researchers around the world, we are continually gaining a better understanding of oral diseases, causes, prevention, effectiveness of treatments, and the oral systemic connection. We incorporate the latest proven technologies and scientific discoveries, to bring our patients the best care possible. Are you ready to optimise your oral health? Call our Moonee Ponds office at 03 8400 4104 , or our Sunbury office at 03 8001 6021 to schedule a consultation.